Middle-distance runner who has performed best in the 1500 meter. He has 170,000 followers on his jakobing Instagram account. 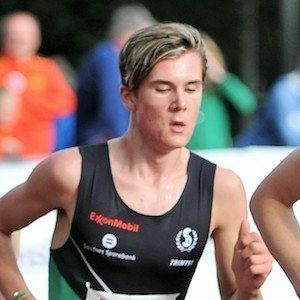 He won gold at the 2016 European Cross Country Championships in the in the juniors' event. He became the youngest athlete to run a mile in less than 4 minutes in May 2017. His brother is Henrik Ingebrigtsen. He and Dina Asher-Smith are both runners born in the 1990s.